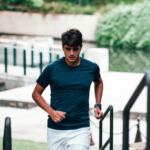 The idea of ‘flow’ in exercise or physical activity, has been discussed over the years mainly in reference to achieving increased performance within sport. Recently however, the concept has now been examined in regard to everyday exercise and physical activity. Flow, as a mental state, was conceptualised much earlier in reference to a range of activities though. “We’ve all been in a state of flow. The number one way to tell if you’re in a state of flow is that time flies by. 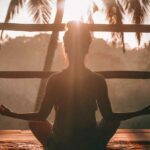 To be in this state you need the right amount of difficulty so that you’re not reaching anxiety or stress, but also so that you’re not bored,” explains Firus Zahabi, elite mixed martial arts trainer and philosopher. Zahabi is referring to Hungarian-American psychologist Mihaly Csikszentmihalyi’s psychological concept of flow. Something we have all experienced. Whether it was during a project at work, in a conversation with someone, or just simply while doing something we enjoy, like painting or playing music. We have all experienced those activities that make time pass quickly. Where things get really interesting for you fitness freaks out there, is when Zahabi discusses trying to achieve this every time you exercise or workout. Is that the sound of a smart phone being flung in frustration against a wall? I can hear people screaming at me through the digital stratosphere at this very moment. That’s right my fellow gym junkies. All those vein busting workouts and pats on the back for getting through it have all been for nothing. We’ve been doing it all wrong for all these years apparently! Sounds so simple right? I can still hear you saying, “But I need to get the most out of my workouts! I don’t have a lot of time to exercise and I need to make the most of my time in the gym!” And you will. Zahabi’s advice comes with the need to use something we are all not very good at these days. Patience. In our smartphone dominated, information overloaded, short attention span lives, these days the art patience is like a relative we haven’t seen in over 10 years. You know they’re there, but you’ve kinda forgotten what they look like. We all want everything quick – information, a relationship, likes on our latest Instagram post, food, and yes…the body we crave from the efforts we put in the gym. So, what happens when we try to attain the body of our dreams without genuine patience? Well, we get in the gym and we punish ourselves. 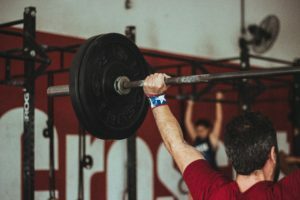 We workout to exhaustion, or in Zahabi’s words, “We push ourselves to anxiety.” We think that by punishing and breaking down our bodies with intense workouts every time we get in the gym, that we’re getting ourselves closer to the body we want. That the amount of effort exerted simply equals results. This is particularly bizarre considering we’ve known for a long time now, that to achieve weight loss, the ratio of food vs exercise is somewhere in the range of 80% diet and 20% exercise/productive movement. Not only is it obvious that if we want to get ‘shredded’ it’s A LOT more important to focus on diet, but we also know that the more intense the exercise, the more nutrition you need to repair your body. The harder we go in the gym, the hungrier we will be. Making our goals just that much more difficult to achieve. With that, and Zahabi’s advice in mind, what we are doing is, in theory, completely unnecessary and, in fact, counterproductive to achieving and sustaining our best possible bodies. 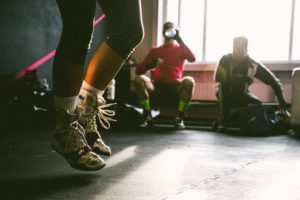 Zahabi would in fact argue, that by working ourselves to our ‘maximum’ every time we workout, we are actually making it impossible to exercise as much as we actually can. A long time ago a friend of mine said something to me when discussing gym routines and various styles of workouts and exercise. He said, “Do you think you could do this until you’re 60 years old?” It has stayed with me ever since and it took listening to Zahabi’s approach to understand how to achieve that. “Training should be addictive. Imagine if exercise was something genuinely fun? Everyone would do it and everyone would be fit. People always take their workouts to anxiety. They go into the gym and they kill themselves. They slam their bodies. Then the next day I’ve got to convince you to do it again. It’s not logical to expect the human mind to enjoy this. People often say they love working out, but they don’t really enjoy it in terms of what I’m saying. Sure, they enjoy the endorphin release and the pleasure associated with completing a task they don’t enjoy, but it’s not a pulling force. 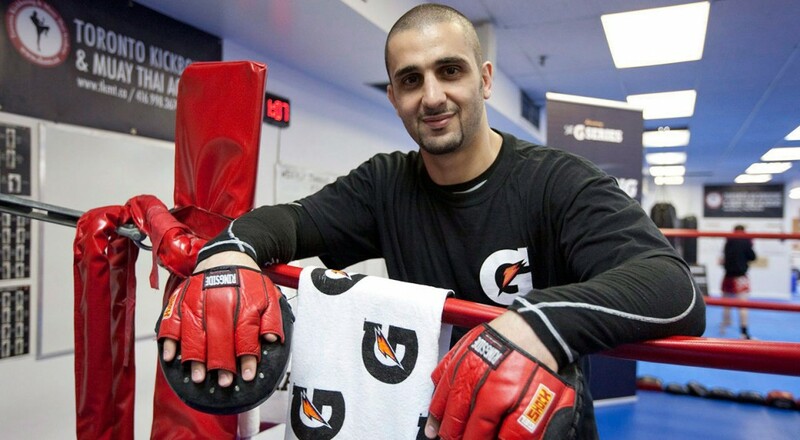 If something is genuinely fun, you’re going to do a lot of it,” Zahabi says. “With all due respect, they’re wrong. CrossFit’s problem is it is ‘fatigue seeking’. It taxes your body so much that your body is in a constant state of recovery. When your system is in recovery what can you do but rest? That is your body is telling you that you need to stop, but the next day you go back to the CrossFit gym and punish yourself all over again. This slowly but surely breaks you down in the long run, meaning you will pay a price at some point. I guarantee you the best Cross Fitters in the world don’t go all out every time they train. At the CrossFit Games sure, but that’s them reaching intensity or their maximum periodically,” describes Zahabi. With all this in mind, what should we be thinking about when it comes to our workouts and the way we exercise? Well, maybe it’s actually that we think about it too much? Maybe the concept of exercise has become overcomplicated in response to things in our society, such as the obesity crisis and the pleasure seeking associated with food, or the ridiculous self-worth and importance we place on appearance. When, in fact, exercise or movement is something we have actually always done… every day! Whether it was hunting for animals with a spear in the stone age, or digging our fields during the agricultural era, moving was part of living, part of our daily routine, like brushing our teeth is now. It’s only recently that the human body has become so sedentary and flooded with non-nutritious foods. This doesn’t mean we need to change the way we are designed to move as a response to that. Rather, we should be changing the way we produce and consume food and remember to move every day without trying to combat or make up for those things.